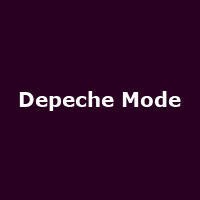 Depeche Mode have just announced the new date for their May 2009 O2 date, which had to be postponed because of the recent illness suffered by lead singer Dave Gahan, which turned-out to be a "low-grade, malignant tumour" in his bladder. The new date will be at the O2 on 20th February 2010. Some tickets, costing £35 + booking are available now.